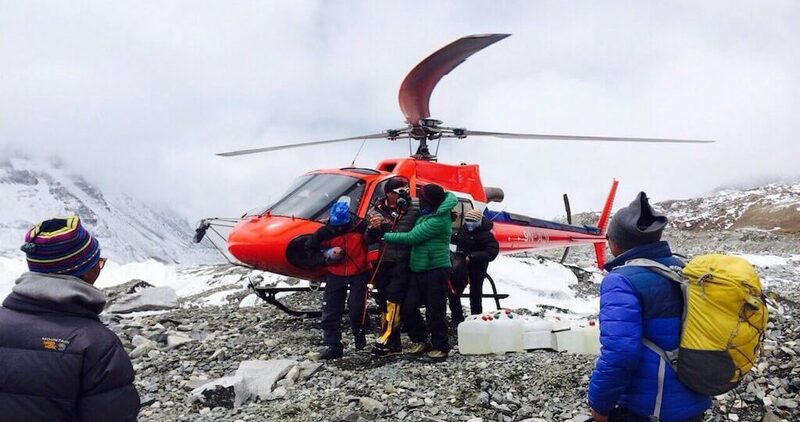 Helicopter tour in Nepal is the best option available right now to be able to do and see everything in a limited amount of time because we also know that the modern lifestyle of these days can be very busy. If only travel was free and not so time-consuming, all of us would have spent our time traveling and seeing all the exotic mountains and the beautiful Himalayas. There is also another added difficulty. Let’s face it, not all people can trek extensively to a place and enjoy the beauty that it offers. Some of us like to trek, while others want a cozy way to see the place. This is when a Helicopter tour comes to the rescue. The helicopter, a modern invention that has facilitated travel and has made almost all the places accessible. It is perhaps the most relaxing way to enjoy the beauty that Nepal offers. Nepal has many places that you would not want to miss out on. The glorious mountains are especially the thing that charms people who live inside or outside this beautiful country. Also, the mountains here are some of the tallest in the world and demand your attention. A Helicopter saves a great deal of your energy. Trekking to mountains is demanding and requires at least a few weeks of physical training. Besides, there are problems of acclimating your body with the places in altitude when you are constantly trekking. And if you are a person who has a carefree soul when it comes to diet and handling yourself, Helicopter tour will be the way to go. Nepal’s mountains are demanding. They stretch across a great geographical range and constitute of difficult terrains. It will be impossible for you to cover each and every mountain in Nepal if you choose to trek. There are four great and popular tourist destinations when it comes to mountains- Everest Base Camp, Annapurna Base Camp, Gosaikunda Base Camp and Langtang Heli Tour. If you want to cover all of these by trekking while you are in Nepal, you’ll need about 6 months of holidays. Impossible right!! This is when the Helicopter tour will be your savior. You can visit all of these places in a day’s time each and see these awesome peaks in a single day. All you’ll need is a week’s holiday to make your dream to view all of these glorious mountains come true. You don’t have to worry if there are various travel packages available. Of Course, there are!! There are packages where you can have a personal helicopter tour. This is for all the people who want to enjoy the beauty of the mountains while maintaining their privacy. There are also packages where you can join a group. The group will share your smile, your worries and help in your comfort as well. And more importantly, they will share your cost too!! When you go out for trekking in these mountains, there is every chance that you’ll find problems in case you are not well prepared. The Helicopter tour will also provide medical facilities in case you get caught with an injury. The most common type of problem you are likely to encounter is altitude sickness. The Helicopter tour provides you medical facilities where the Helicopter takes you to the appropriate hospital according to your sickness. In cases of emergency, you’ll directly be chartered to the nearest hospital and be taken to have immediate medical attention. With all these exciting features that a Helicopter tour has, you should also take a look at the following Helicopter tour packages that are available to you. If you’ve not grown up hearing the tales of Everest, probably you have not heard anything about mountains at all. And if you talk to the people that have done Everest Base Camp Tour, you’ll know how amazing they feel about being there. You also have a wonderful chance to enjoy Everest and feel the mountains in the form of Helicopter trek. The private Heli tour to the Everest Base Camp is at your disposal with the schedule of your choice and the timing of your choice too. The exploration to Kalapathar to get the best scenic view of the Everest which will be mesmerizing. This is where things can get really exciting. You can come across the people of different background and enjoy their company if you go for group joining Helicopter tour to Everest. The financial burden that one has to share will be reduced greatly. And going in this trip does not diminish your returns as well. You’ll get the same treatment as in a private helicopter tour and will help you to not break your bank account as well. Annapurna Base Camp is the second most popular trekking destination for mountain lovers. Trekking in this place takes a minimum of 7 days to a maximum of a month. In Annapurna Base Camp helicopter tour, you can go to this place in one day!! You’ll be transported to the Annapurna Base Camp from Pokhara airport in less than 40 minutes. After that, you can enjoy the Annapurna Base Camp for half an hour!! This is when you can take all the selfies and group-fies you like and make your trip all more memorable. You’ll also enjoy a pleasurable breakfast in the base of Annapurna Himalaya. After these pleasurable activities, you’ll be safely transported back to your hotel in Pokhara. The Helicopter tour to Langtang is a joyous ride located inside the Langtang National park. Langtang is an amazing place with over 70 lakes which is plenty for us to enjoy. The Helicopter will land at Kyanjin Gompa, which offers the best viewing place for the exquisite Langtang mountains. Although the Langtang National Park was closed for trekkers and visitors after the earthquake, it has now opened its arms wide out for all the nature lovers again. The time at Langang will also comprise of breakfast at Kyanjin Gompa. You’ll get to spend around 90 minutes at this wonderful place. Gosaikunda is a holy lake of Nepal that has great religious and cultural significance. This lake is often referred to as the Shiva Lake for being the lake that is the closest to the Hindu deity Lord Shiva, which is located in the Langtang National Park. Its waters are holy and are exquisite to look at, even in its frozen condition. From Kathmandu, you will ride in a helicopter to the Gosaikunda lake which you can see and feel in its wonderful condition. You will spend close to one hour in this religious place. Heli trek with all its comfort and joy from the wonderful skies in Nepal is comfortable and pleasurable. Even if you are low in time you can still allocate to travel or if you want to feel alive as ever from the clouds- Helicopter tours will be the best choice for you. The awesome mountain ranges of Nepal- the Everest, Annapurna, and Langtang are just 30 minutes away from the places where you will be staying in Nepal. Simple, comfortable, enjoyable and full of joy, Helicopter tour in Nepal is the best thing you can do in this snow-covered beautiful country.